Nofollow Niche related Comments to improve link juice and web page rank in search engine result pages (SERP). The high traffic websites useful for affiliate marketers and new bloggers who are looking for a bit of extra traffic. * All comments stay on actual Pages. I will boost up the marketing of your brands, website, blogs, and services by publishing your desired link to over 30 comments on high da Yes! On Over 10 sites overcrowded by the prospective users which means highest sales & services, Tremendous Profits and world-class marketing of your business. 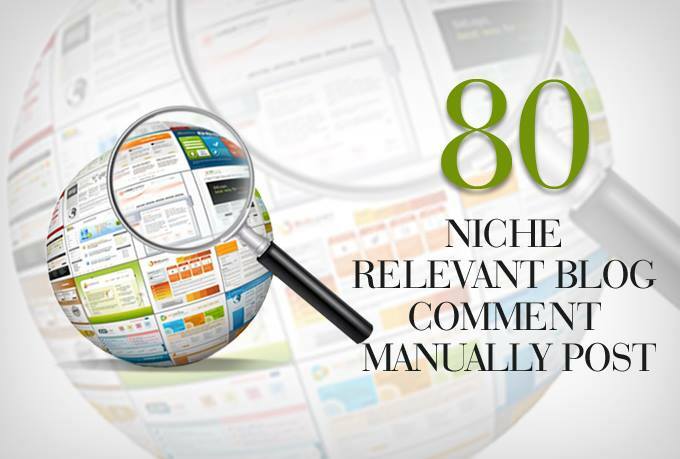 Provide 80 Niche Relevant Blog Comment High Quality is ranked 5 out of 5. Based on 48 user reviews.